2017 is coming to an end, which means the technology media is turning their attention towards the Consumer Electronics Show in the beginning of January and Mobile World Congress in the beginning of March to see what’s coming in 2018. Observers of Chinese tech giant Huawei expect the company to unveil the Huawei P11 at Mobile World Congress. The P11 is expected to have a radically different design compared to its predecessor, with an Apple iPhone X style notch. The upcoming Huawei flagship may share more than just a notch with the iPhone X, however, since it may also feature camera technology that rivals Apple’s Face ID. 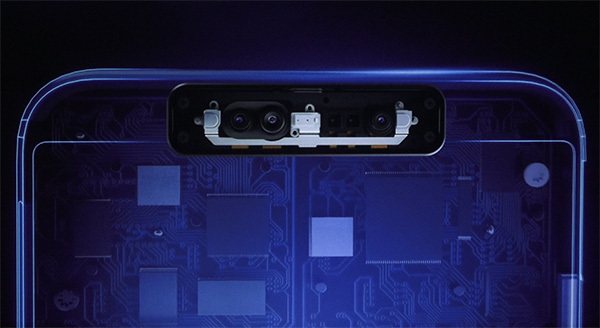 A writer from Italian technology website NotebookItalia reached out to me with some pretty solid reasoning behind why the Huawei P11’s notch may be used to hold a camera bar with enhanced technology to compete with the iPhone X. At the global launch event for the Honor 7X and Honor View 10, the company unveiled new 3D camera technology it is calling the “Point Cloud Depth Camera.” The purpose of this Point Cloud Depth Camera is to provide facial recognition accurate enough for biometrics and 3D facial mapping for animation purposes. The Point Cloud Depth Camera is made up of multiple sensors. It uses a structured light near-infrared projector to project a lattice of light onto an object to determine its shape based on how the light deforms. There’s also an IR camera, RGB camera, and a near-infrared illuminator all of which is enclosed between two RGB LEDs. 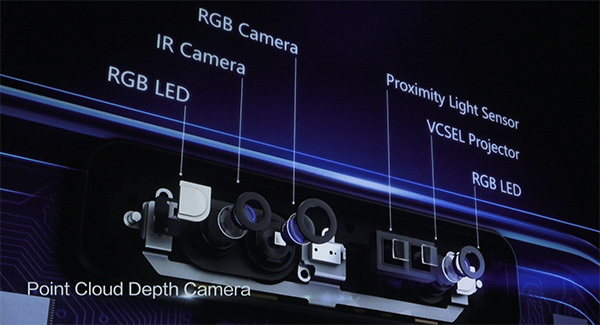 All of these sensors are packed into an external accessory that connects to a Huawei smartphone via the USB C port, but it’s possible that the Huawei P11 may be the first smartphone to integrate this Point Cloud Depth Camera into the device’s frame. If the Huawei P11 does have an iPhone X style notch, then it’s likely that the notch area is where Huawei will pack these sensors. NotebookItalia was able to record a demonstration of the Point Cloud Depth Camera in action. In the video, a Huawei employee shows off 3D facial reconstruction via the external accessory. It’s clear that this technology can be used to mimic the animoji on the Apple iPhone X, as Huawei demonstrated on stage. Further, Huawei claims that their technology is more accurate and secure than Apple’s. They claim that their facial recognition will be suitable for payment authentication, that their face unlock works in 400ms, and that their facial reconstruction works with less than one millimeter of accuracy. These are bold claims that will need to be evaluated once a commercial device with this technology is released. We believe that the Huawei P11 may be the first device with this technology, though we can’t confirm that in the firmware files we obtained. Roland Quandt from WinFuture points out that the P11 may launch in Q1 2018 as a Huawei executive promised “exciting new products” in Q1 with a focus on camera and AI. Thus, it would make sense for the “exciting new product” to be the Huawei P11 with the Point Cloud Depth Camera. Given the success of the Apple iPhone X, we can’t imagine that Huawei isn’t already working on a direct competitor with its own version of Apple’s Face ID and animoji.